Juan Mata - Unwanted at Chelsea, Undroppable at Man Utd: premier league star Mata doing wonders at Old Trafford. Chelsea sold him to United last year. Juan Mata a player once adored by Chelsea fans now could inflict damage to Chelsea team and their supporters when comes back to Stamford Bridge for the first time since his big money move to Manchester United in January 2014 for a Club record fee at that time for 37.1 Million pounds. Having being signed by Chelsea in 2011 by former Chelsea Boss Andre Villas-Boas, he was certainly a key signing for Chelsea at that point as the Blues lacked a creative midfielder. Mata settled well, adapting to the Premier league conditions immediately scoring on is debut against Norwich City coming on as a substitute in the second half. He soon turned into Chelsea’s star player, un-droppable for the team. At his time at Chelsea, he was more known for providing assists than picking up goals and with Eden Hazard and Oscar being introduced to the Chelsea side later on their midfield was top class and threatening to oppositions. His key assist would be the Champions League final in Munich in 2012 where his corner kick found the head of Didier Drogba at the dying moments of the game to ensure the game went into extra time and later saw Chelsea win the game in a penalty shoot-out. At that time no one would have thought, the Chelsea fans as well as Juan Mata himself that things were about to take a worst turn for the Spaniard. It all changed when Jose Mourinho took charge of Chelsea again in 2013. With supporters ecstatic that their special one is reuniting with Chelsea again. But the special one found no place to use Juan Mata and he was sidelined to the bench for most of the games, as Mourinho preferred Oscar as the playmaker for his Chelsea side and also with Mourinho not being happy with Mata not tracking back to defend whenever his side lost possession. Mata began to get frustrated with his bit part role he was being offered as to the previous seasons where he was their talisman. Finding it hard to break into the starting eleven Mata decided to look elsewhere for regular playing time. On January 24th 2014, Mourinho said Chelsea had accepted a bid from Manchester United and he was ready to let Juan Mata leave. With United fans ecstatic with the signing of Juan considering the horrible season they were having and with Chelsea fans expressing their grief over the transfer. Juan Mata did mention that it was hard to leave Stamford Bridge and the supporters, but he was left with no choice but to make the move. Mata in his outstanding Chelsea career scored 33 goals, providing 58 assists in 135 appearances for Chelsea in all competitions. United career on a flyer scoring and providing assists leaving Van Gaal with no choice but to bench Mata. With Di Maria running out of steam and slowly starting to fade away Van Gaal turned to Mata again and the Little Spaniard returned the favour by putting in some impressive displays against the likes of rivals Liverpool scoring a stunning scissor kick and Manchester City. Leaving the record transfer fee signing Di Maria sidelined. With Mata set to return to the Bridge for the first time since his transfer, it will be interesting to see the Chelsea’s supporter’s reactions. Mata on the other hand would be looking to prove a point to Mourinho, he will certainly be overwhelmed with the occasion. 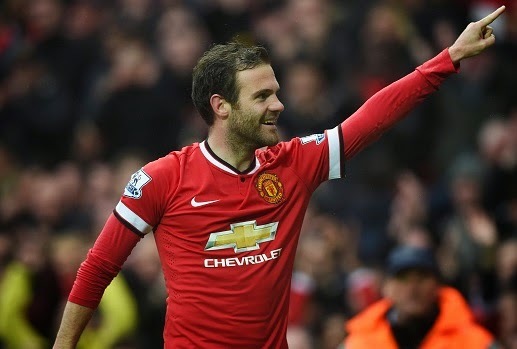 Mata is currently playing the best football of his career at the moment and Chelsea should be vary of his threats. In his time at United, he has 42 appearances and has scored 14 goals. This term itself the Spaniard has bagged 8 eight goals and provided 4 assists. With this epic match set to take place this weekend will Juan Mata come back to make Mourinho regret selling him or will Mourinho justify Mata’s transfer decision.